All employees with 26 weeks or more service can make a flexible working request. Employers have to address all requests in a “reasonable manner and they must have a sound business reason for rejecting a request. Please note that members of the Armed Forces are exempt from these rules. 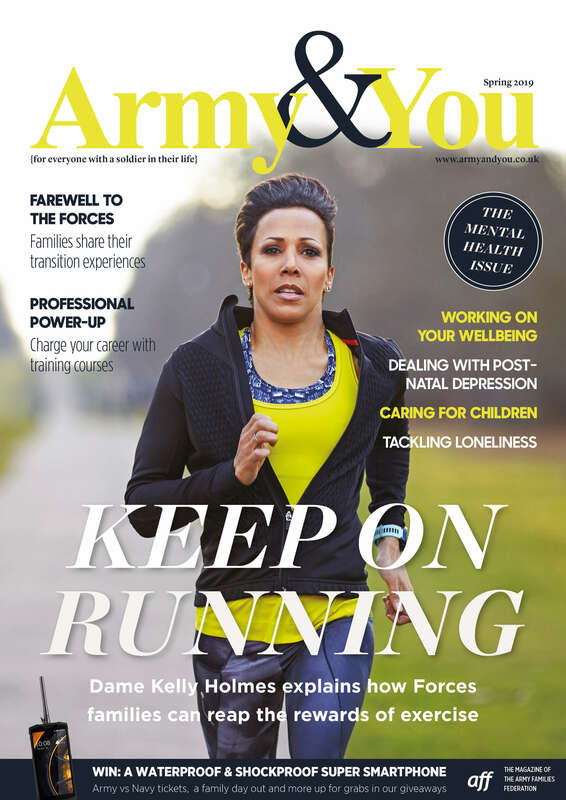 This could be key for Armed Forces families as it can address deployments, periods of rest and recuperation and times when your serving partner is away. Flexible working can include a number of things that change your work pattern including working from home, part-time working, flexi-time, job sharing and shift working. For more information on what your rights are, how to approach your employer about flexible working, valid reasons why your application may be rejected and challenging your employer’s decision, please visit the ACAS website. If you have any queries relating to flexible working and managing unique Armed Forces situations such as deployments, then please contact AFF at etam@aff.org.uk. Many Army spouses tell AFF about the difficulties they have with childcare due to their soldier’s work commitments. AFF consistently argues this is a major barrier to spouse employment and evidence frequently shows that Army spouses are more likely to consider this a barrier to employment than their civilian counterparts. There is an Army Defence Instruction Notice (DIN) 2016DIN01-125 titled Flexible working (non-standard working hours). The aim of the policy is to provide Service personnel with an opportunity to balance commitments at work with a variety of personal responsibilities. Even a small variation in start and finish times during routine work periods can have a significant impact on the individual. Applications for flexible working are considered on a case-by-case basis and should be submitted in writing. AFF would encourage the serving person to discuss proposals informally with their CO/LM prior to formally applying. The MOD has produced a helpful guide titled ‘Flexible Working and You A Guide for Service Personnel’ which families should read if their spouse is considering flexible working. The rules allow parents to share up to a year’s leave. There are eligibility requirements and it is recommended that you read through the DIN (2011 DIN01-037). AFF recommends that any Service person who feels they may be eligible discuss their circumstances with their chain of command. The Armed Forces Occupational Paternity Leave Scheme (AFOPLS) will allow qualifying personnel to take up to 26 weeks of Additional Paternity Leave (APL) in order to care for their new child in the first year of the child’s life or the first year after a child’s placement for adoption and, in some cases, to receive Additional Statutory Paternity Pay (ASPP). However, to qualify for APL&P (Additional Paternity Leave and Pay), personnel must meet certain qualifying criteria, the first being that this type of leave and pay is only available if the child’s mother or the co-adopter has returned to work with at least two weeks of unexpired maternity or adoption leave entitlement remaining. Existing paternity leave arrangements. The two weeks of paid paternity leave (i.e. 14 days) that is available to qualifying Service personnel at the time of the birth of a child, or in the case of adoption, the placement of a child, will continue to be available. Deferral of Additional Paternity Leave. Members of the Armed Forces have an underlying commitment to be available at any time to serve at short notice both in the UK and on deployments overseas. For this reason, as is the case with OPL (Ordinary Paternity Leave), Commanding Officers have discretion to defer if operational circumstances require this. Personnel may also be recalled from APL if this is required for operational reasons. To qualify for APL/ASPP a Serviceperson must notify their Commanding Officer in writing of the planned leave. “Keeping in Touch Days” during Additional Paternity Leave: A Serviceperson may return to duty for up to 10 days during their APL without bringing their paternity leave to an end. These are known as “Keeping in Touch” (KIT) days and enable the individual to return to duty, for example to undertake training or to keep in touch with major developments. KIT days are optional, and must be by agreement between the Serviceperson and their line management/Commanding Officer. The law protects you from discrimination due to your age, gender, race, religion or beliefs, disability or sexual orientation. For more information and to determine your next course of action visit the Equality and Human Rights Commission website or the Direct Gov website. If you feel that you have been discriminated against at work or during the recruitment process specifically because you are a military spouse, AFF would like to hear from you, please contact etam@aff.org.uk, Likewise, if you have an employer who actively recruits military spouses and has HR policies to support this please let us know. Almost all workers have a right to a minimum of 5.6 weeks paid annual leave, but your employer may offer more.